(19687.TO.A061.33.2.1, Chester R. Cowen Collection, OHS). Born out of the cotton fields of southwestern Oklahoma, Altus Air Force Base became home to U.S. Air Force (USAF) aircraft and personnel in 1943. With an annual average of more than three hundred days of favorable flying weather, a generally flat landscape, and few obstructions, the base is ideally located for aircrews to hone their skills. The base was originally called Altus Army Air Field (AAF); construction began in May 1942. Over the next five decades the base evolved to become the premier air mobility training location in the U.S. Air Force. The base became operational in January 1943, training new pilots on multiengine aircraft. The primary training aircraft were the Boeing-Stearman Kaydet T-17 and the North American T-9. After the students perfected their skills with these planes, they transferred to units that prepared them to fly the type of aircraft they would use in combat over Europe and in the Pacific theater during World War II. After hostilities in Europe ended, Altus AAF was slated for inactivation and on May 15, 1945, was placed on temporary inactive status. The onset of the Korean War in June 1950 created the need for more men to fly and service aircraft. During the early years of the conflict many World War II airfields were examined for reactivation. On August 1, 1953, Altus Air Force Base (AAFB) reopened as a training facility for transport planes. The durable C-47 Skytrain and the C-45 Expediter were the main aircraft assigned to the base. During the 1950s the base underwent changes in the new and maturing air force. Along with personnel training on transport aircraft, crews trained on the KC-97 Strato-freighter, a dual-purpose cargo and air refueling aircraft, and the first all jet-engine bomber, the B-47 Stratojet. By the end of the decade these planes were replaced by the KC-135 Stratotanker and the B-52 Stratofortress. The KC-135 was the first all-jet-engine air refueling aircraft, and the B-52 remains the backbone of the bomber fleet. With this formidable duo the base stood countless hours on alert during the Cold War. In June 1961 base personnel witnessed the activation of twelve Atlas "F" intercontinental ballistic missile sites within a forty-mile radius of the base. The missiles sat inside an underground silo with a launch facility manned around the clock. The missile silos became operational on October 10, 1962, but the activation was short lived. By April 1965 the Atlas missile was outdated and was phased out of the national strategic defense plan. In 1967 the Air Force searched for a base that could handle the training for its most versatile transport, or cargo aircraft, the C-141 Starlifter, and its newest and largest transport plane, the enormous C-5 Galaxy. Again the clear skies and wide expanses of land native to Oklahoma proved to be best suited for the mission. By the start of the 1970s the KC-135, the C-141, and the C-5 aircraft had been assigned to Altus AFB. Through the 1980s and 1990s these planes were as common a sight in the skies above southwestern Oklahoma as the native sparrows, meadowlarks, and hawks. In 1996 the latest addition to Altus AFB, the agile C-17 Globemaster III, arrived. This aircraft, with its expansive cargo area and powerful engines, was the newest cargo plane in the Air Force. Even before the C-17 arrived, pilots began training to operate and to fly the aircraft. It was designed for use as an intermediate, short-airfield cargo plane. 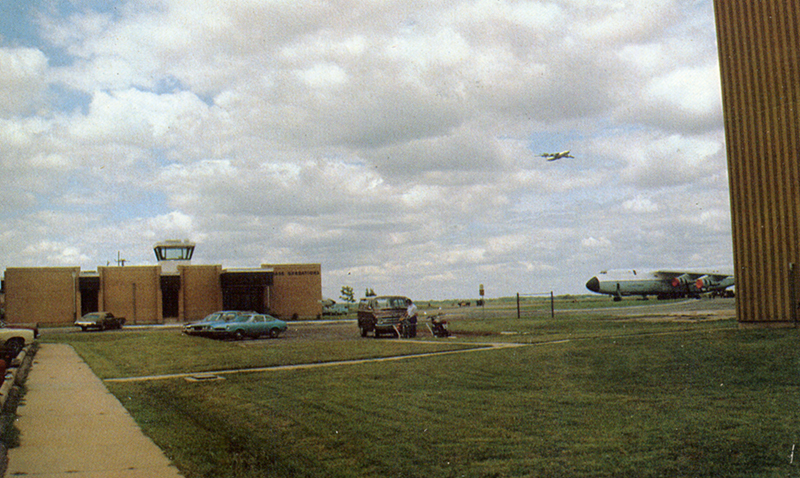 In 2001 the base witnessed the retirement of the C-141 after thirty-two years at Altus AFB. Men and women of the Fifty-seventh Airlift Squadron had piloted the aircraft. Released from active duty, the planes were transferred to the USAF Reserves. As Altus Air Force Base moved into the twenty-first century, it continued performing its mission of providing an ideal location in which to train air force personnel in the operation of multi-engine aircraft. "Air Force Due Reins of Last Missile Site," Daily Oklahoman (Oklahoma City), 7 November 1961. "Altus Air Force Base," Vertical File, Research Division, Oklahoma Historical Society, Oklahoma City. Jim Johnson, "The C-5 Comes to Oklahoma," Oklahoma's Orbit: The Magazine of the Sunday Oklahoman (Oklahoma City), 14 Dec 1969. Leo Kelly, "Altus Air Force Base: Sentinel of Southwest Oklahoma," The Chronicles of Oklahoma 75 (Fall 1997). Richard S. Guinan, "Altus Air Force Base," The Encyclopedia of Oklahoma History and Culture, https://www.okhistory.org/publications/enc/entry.php?entry=AL014.